Kdb+ plays a large part in the trading and risk management activities of many financial institutions around the world. For a large-scale kdb+ system to be effective, it must be designed efficiently so that it can capture and store colossal amounts of data. However, it is equally important that the system provides intelligent and useful functionality to end-users. In the financial world, increasing participation and advances in technology are resulting in a progressively more fragmented market with liquidity being spread across many trading venues. It is therefore crucial that a kdb+ system can store and analyze information for a financial security from all available sources. This paper presents an approach to the challenge of consolidating share price information for equities that trade on multiple venues. James Corcoran has worked as a kdb+ consultant in some of the world’s largest financial institutions and has experience in implementing global software and data solutions in all major asset classes. 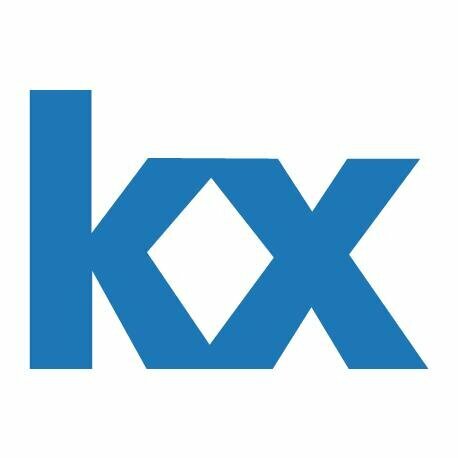 He has delivered talks and presentations on various aspects of kdb+ and most recently spoke at the annual Kx user conference in London. As a qualified professional risk manager he is also involved in various ongoing risk-management projects at Kx. Since the inception of the Markets in Financial Instruments Directive (MiFID), Multilateral Trading Facilities (MTFs) have sprung up across Europe. Alternative Trading Systems are the US equivalent. Prior to the MiFID, trading typically took place on national exchanges. Other types of trading venues in existence today include crossing networks and dark pools. All of these venues compete with each other for trading activity. For market participants, the increased fragmentation forces more sophisticated trading strategies in the form of smart order routing. A number of additional factors add to the argument that the ability to consolidate real-time market data in-house can add real value to the trading strategies of an organization, including technical glitches at exchanges which can lead to suboptimal pricing and order matching. Bearing in mind that the data output by a kdb+ system can often be the input into a trading decision or algorithm, the timely and accurate provision of consolidated real-time information for a security is vital. The goal for kdb+ financial engineers is to analyze various aspects of a stock’s trading activity at each of the venues where it trades. In the equities world, real-time market data vendors provide trade, level-1 and level-2 quote feeds for these venues. Securities trading on different venues will use a different suffix, enabling data consumers to differentiate between venues – for example, Vodafone shares traded on the LSE are reported by Reuters on the Reuters Instrument Code (RIC) VOD.L, whereas shares of the same company traded on Chi-X are recorded on VODl.CHI. In the FX world, we might have feed handlers connecting directly to each ECN. The symbol column in our table would generally be a currency pair and we might use a venue column to differentiate between venues. Regardless of the asset class, in order to get a complete picture of a security’s trading activity the kdb+ system must collect and store data for all venues for a given security. For the purposes of this paper, we will assume standard equity trade and quote tables. We will use Reuters cash equities market data in the examples and assume that our feed handler subscribes to the RICs we require and that it publishes the data to our tickerplant. to return the data to the client. Data retrieval, data filtering, computation and aggregation, as a general rule, should all be done on the database. The gateway, once it has retrieved this data, can enrich it. Examples of enrichment are time zone conversion, currency conversion and adjustment for corporate actions. We make the case below that consolidation at the security level is also best done in the gateway. It is important at this stage that we introduce the notion of data filtering. Trading venues have a regulatory requirement to report all trades whether they have been executed electronically or over the counter. Not all trades, particularly in the equities world, should be included in all calculations. For example, one user may want only lit order book trades to be included in his/her VWAP calculation, but another user may prefer that all order book trades appear in the VWAP figure. Market data vendors break trade data into different categories including auction, lit, hidden and dark order book, off order book and OTC trades, and use data qualifier flags to indicate which category each trade falls into. Data should be filtered based on these qualifiers, and according to the end-user’s requirements, prior to aggregation. This specification should be configurable within the parameter dictionary passed to the getIntervalData function. Define a dictionary, .cfg.filterrules, keyed by filtering rule, e.g. Order Book, Total Market, Dark Trades, where the corresponding values are tables holding the valid qualifier flags for each venue for that rule. Assuming we have access to a params dictionary, we could then construct our query as follows. .util.validTrade makes use of the above config data, returning a Boolean indicating whether the qualifier flag for a given record is valid for that record’s sym according to the given filter rule. Due to the fact that we have defined valid qualifiers on a per-rule per-venue basis, we will of course require a method for retrieving a venue for a given sym. This is best done through the use of a simple dictionary lookup. This data processing takes place on the RDB and/or HDB. The query will have been dispatched, with parameters, by the gateway. We will now demonstrate a mechanism for consolidating data from multiple venues by passing an additional multiMarketRule parameter in our call to the gateway. Having already briefly touched on it, we introduce the role of reference data more formally here. With the above analytic setup, we retrieve data only for the given symbol/s passed to the function. When a multimarket parameter is included however, we need to retrieve and aggregate data for all instrument codes associated with the entity mapped to the sym parameter. With that in mind, the first thing we need to have is the ability to look up the venues on which a given stock trades. We also need to know the instrument codes used for the stock in question on each venue. As described above (The data), these will differ. This information is usually located in a reference data system. The reference data system could be a component of the kdb+ system or it could be an external application within the bank. Regardless of where the reference data is sourced, it should be processed and loaded into memory at least once per day. The databases (RDB and HDB) require access to the reference data, as does the gateway. In terms of size, reference data should be a very small fraction of the size of market data, so memory overhead will be minimal. The most effective layout is to have a table keyed on sym, mapping each sym in our stock universe to its primary sym. By primary sym, we mean the instrument code of the company for the primary venue on which it trades. For example, VOD.L’s is simply VOD.L since Vodafone’s primary venue is the LSE whereas VODl.CHI’s is also VOD.L. Once we have adjusted the parameters appropriately, we can dispatch the query to the database/s in the exact same manner as before. The only thing that happens differently is that we are querying for additional syms in our symList. This will naturally result in a slightly more expensive query. The final, and arguably the most critical step in consolidating the data is to aggregate our analytics at the entity level as opposed to the sym level. Having dispatched the query to the database/s, we now have our data held in memory in the gateway, aggregated on a per-sym basis. Assuming that all venues are trading in the same currency, all that remains is for us to aggregate this data further up to primary sym level. We will use configuration data to define multi-market aggregation rules. If the various venues trade in different currencies, we would invoke a function in the gateway to convert all data to a common currency prior to aggregation. This method assumes that FX risk is hedged during the lifetime of the trade. It is evident that we need access to the venue volumes as well as the individually-calculated VWAPs in order to weight the consolidated analytic correctly. This means that when a consolidated VWAP is requested, we need the query to return a volume column as well as a vwap column to our gateway. Similarly, for a consolidated real-time snapshot of the midprice (let’s call it lastmidprice), rather than working out the mid price for a stock on each venue, we need to return the last bid price and the last ask price on each venue. We then take the maximum of the bid prices and the minimum of the ask prices. This represents the tightest spread available and from there we can work out a meaningful consolidated mid price. The knowledge required for additional column retrieval could be implemented in a utility function, .util.extendExtraColParams, prior to the query dispatch. Here we present a list of consolidation rules for a few common analytics. With the consolidation rules defined, we can use them in the final aggregation before presenting the data. The un-aggregated data is presented as follows. We can now aggregate it through the use of a clever functional select, utilizing q’s parse feature to bring our configured aggregation rules into play. First, left-join the original user-passed symList back to the results table. This is the entity that we want to roll up to. The result of this gives us the following table. The final step is to aggregate by the originally supplied user symList. We then look up the multimarket rules for the columns we are interested in, use -5! to parse each string, and create a dictionary mapping each column name to its corresponding aggregation. This dictionary is required for the final parameter into the functional select. This paper has described a methodology for analyzing data across multiple liquidity sources in kdb+. The goal was to show how we could aggregate tick data for a financial security from multiple data sources or trading venues. The main features of a simple analytics system were briefly outlined and we described how to dispatch vanilla analytic requests from the gateway. The concept of data filtering was then introduced and its importance when aggregating time series data was outlined. After this, we explained the role of reference data in a kdb+ system and how it fits into the analytic framework. Armed with the appropriate reference data and consolidation rules, we were then able to dispatch relevant requests to our databases and aggregate the results in the gateway in order to return consolidated analytics to the user. The framework was provided in the context of an equities analytics system, but is extendable to other major asset classes as well as electronically traded derivatives. In FX, the ECNs provided by brokerages and banks act as the trading venues, and instead of using the symbol suffix to differentiate between venues, one can use a combination of the currency pair and the venue. Similarly in commodities, provided there is enough liquidity in the instrument, the same rules and framework can be applied. Other use cases, such as aggregating positions, risk and P&L from the desk or regional level to the department level, could be implemented using the same principles described in this paper. A script is provided in the Appendix below so that users can work through the implementation described in this paper. The code in this appendix can be found on Github at kxcontrib/market-fragmentation.